There’s a myth that you can no longer reach your Facebook followers, don’t believe it. Over the last few years it’s common to hear people complain about their Facebook Page reach. They feel it’s less effective unless they buy ads from Facebook. Honestly, sometimes I feel the same way and I have most certainly shared my frustration about it on my blog and YouTube channel. However, there are some ways to increase your Facebook reach organically. For example, you can let people know that they can request to see your posts in their Facebook news feed. I’ll explain this feature further in the article. First, I want to share some other ways which are more pressing. Hey, what type of Facebook Page do you have? let me know and put a link to your Page in the comments below. Now, it’s important to remember that all of the social media platforms want to keep people on their website or app. So when you drive people away this not going to encourage the social platform, including Facebook, to share more of the content you post. For example, if you post a sales or portfolio link which guides people off Facebook to your blog or some other website or even another social media platform — Facebook is not going appreciate such activity. This is especially true if it’s their archenemy YouTube. YouTube is a big no-no. Don’t put a link in your posts for YouTube. To improve success you want to keep people on your favorite social media platform. Everything you do should be organic. Upload your photos and videos organically to Facebook directly from your phone or desktop. This makes Facebook happy. To keep people coming back, it’s important to make sure that you’re continuously offering the best quality content which you can possibly create or find for your audience. Add a lot of text and multiple photos, use the new features Facebook develops to keep people more engaged. Think of new ways in which you can provide interesting topics and keep a theme to your Facebook Page. Be sure you don’t place random stuff up there, you want your Page focused. Review your current Facebook Page – are you providing something your target audience appreciates? There are a couple of types of content which you need to consider when posting to Facebook. When I taught photojournalism at the universities, I would often explain the difference between news and feature photography. These are different types of content, which offer different types of information. The difference between the two is straight forward. News is timely, it’s immediate, it’s now – while a week from now or a month from today, it won’t have as much importance or impact. Although, it may have use down the road for reference or historical fact or information. When it comes to features, the best way to describe them is timeless. In other words, News is timely and features are timeless. Today, especially in the social media world we refer to feature style content as evergreen content. These are topics which don’t run out of value as quickly over time. For example, an essay on cats is evergreen. Yet, a cure for a feline disease is news in the cat community. I tend to lean on the side of news and trending topics. Here’s why, Facebook posts have a shorter life than other platforms. So, I like to deliver content that fits the platform. Other digital media, such as blog post or even YouTube videos can live longer because of search finding them as needed. Evergreen of content can still be discovered, six months, a year, or three years down the road. When it comes to Facebook. If you do a really good job, your content can live for days or even a few weeks. However, it’s eventually going to slow down in most cases. So, I would recommend that you focus on news and trending topics that people are talking about, topics they want to share because it’s the hot topic of the moment in your community. This doesn’t mean you can’t share evergreen content. It’s actually recommended by some Facebook gurus. You can still have your evergreen topics rediscovered over time. Maybe you’ll want to share popular evergreen blogs, photos or videos again and again. This is especially true if people are engaging with these posts. So, if you have some good material on your blog, maybe you can share it every few months on your Facebook page. Don’t do it too often and don’t put too many links in your post which will drive people away unless you have a specific reason. For example, you may have a call to action which directs people to do something such as purchase a product or photo. There’s nothing wrong with developing Facebook as a sales platform. However, you do want to decrease what is referred to as the signal to noise ratio. In other words, offer more helpful non-sales stuff. Yet, once in a while you do share a call to action item. The ratios I like are five to one or even a 10 to one ratios. You want to make sure that people are really into the type of information and content you are sharing before you ask them to buy from you. You want your followers to trust you and appreciate you first. Another thing I recommend you do to improve reach is something I mentioned at the beginning of the article. Ask people to go to the follow button on your Facebook Page and click on the see first button (example below). This tells Facebook to show your post more often in their news feed. This is key because if you want more reach on your Facebook posts. You need to have a lot of activity on your page to gain traction. It’s kind of like a snowball effect. The more activity that you produce especially early on, the more growth your Page has down the road. Every like and every comment on your Facebook post helps. With each bit of activity Facebook continues to show your stuff to a few more people. Here’s the reality, if you don’t do anything and you don’t have any likes or any comments on your posts, chances are you will only get about 2% of the people who are following you to see the post. So if you have 1000 people following your Page, only about 20 of them will actually see your post. You better hope it’s the right 20 people who actually care enough to like it more or want to share your content. One of the most important things you can do is to get people to your Facebook page early and engage with it. I’ll share some ideas how to do this in a moment. First, let’s talk about the importance of engagement on Facebook. The most important thing you can do is to get people to comment, like and share your posts. One of the best tactics you can use is to ask questions. Get a conversation start by asking your followers their opinion. For example, Android or iPhone? Obviously, that is a pretty basic question, however it’s important for you to develop good questions related to your area of expertise. Ask questions which will encourage friendly debate. Ask, what is your opinion, or how would you solve this problem? These are things that people care about. If you can get the engagement machine going, you’re going to win on Facebook! It’s important to remember there are people on the other side of the screen names and avatars. These are people who want to be appreciated. Especially by your or your brand. Let your followers know you appreciate them. The more you can appreciate the people who take the time to actually comment on your page, the more loyalty you will earn. Take the time to comment thoughtfully with the people who are commenting on your page. Don’t just say, hey, thanks. Leave a more thoughtful comment than you received. I also recommend you take the time to go comment on their posts too. Note: you can only do this if they have liked your Facebook page. I’m often asked how often you should post in social media and the answer is different on every social media platform. However for Facebook, I usually say post as often as you can to the point in which quality drops off. So, how do you know when quality is dropping off? Well, one good indicator is when engagement slows down. For some pages this is once a day. Other Pages it may be once a week or three times a month. If you are growing a community and they really appreciate engaging with you, three or five times a day may be the ticket. Remember, each Facebook Page in every industry, business and brand is different. As mentioned, it’s helpful to get people to your posts early. This is when you have to take advantage of your other social media and communities. You need to let people know on and off Facebook that you have a new post and encourage them to check it out to drive this important traffic. Just like Facebook, other social media platforms don’t like it when you driving them off to other social media platforms. You’ll have to weigh the positives and negatives and figure out what is the best path for you. Different social media platforms work differently with their own algorithms. However, you can use these other platforms to get that traffic you initially need to get the Facebook engagement ball rolling — that important snowball effect. Do Email And Facebook Mix? Next, I highly recommend that you develop a segmented email list related to the topic on your Facebook page. One of the best ways to do this is create a helpful download related to your page or your industry. Something valuable enough in which people will give you their name and email for the information. You should to let people know that every once in a while you will send your subscribers an email to let them know that you have an important Facebook post, and how they can be one of the first people to see and comment on it. This list of interested and engaged people can be very beneficial to help drive initial traffic to your new posts. It’s important to be real on Facebook to develop true connections, but sometimes that’s hard to do when you’re just posting information and commenting via text. There’s not as a deep of a connection through text, maybe a little bit, but it’s not as much as if you go Live (video) on Facebook. When you go Live, you can show some vulnerability, strength, humor and depth. In other words, you can build trust because it shows your Facebook followers that you’re human. Yes, your live videos most certainly will not be perfect, however, that’s okay. You can answer questions directly from your fans. You can create a deep connection with people and if you offer a consistent time within each week to develop that community. Such as meeting Live on Facebook every Monday or Wednesday or Friday at 1PM, people will take time out of their day to connect with you. 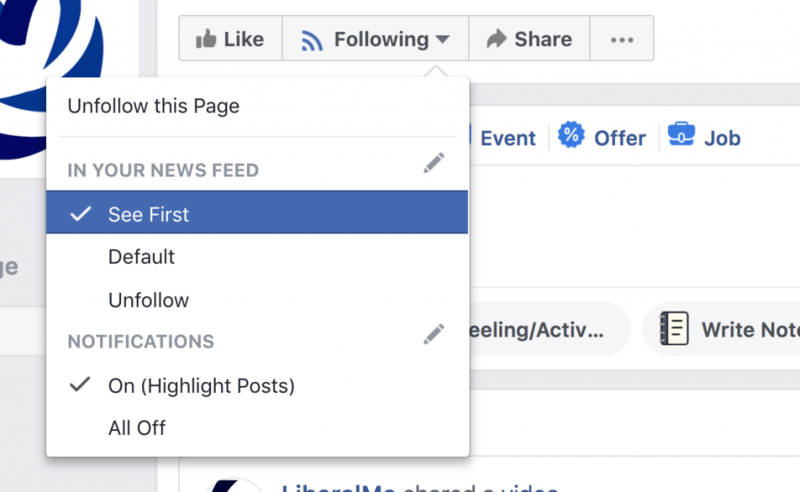 This connection can help your overall engage on your Facebook, which in turn, helps develop more reach. It’s also important for you to take time to look at your insights (analytics) for your Facebook. Use insights to see which of the content you share is working in which is not. Then, of course, produce more of the working content. Hey, that sounds really familiar. It’s the foundation of the combination code. Find what works apply it and let go of what does not work. It’s sounds easy, but it’s not. Especially letting go of what does not work. It’s a truth which works on Facebook too. Continuously try new things, test new ideas, and always deliver content which your audience desires. All it takes is you taking time to look at your Facebook insights and then produce more. Something else to consider is when you have a piece of content which is doing really well organically, you might want to consider boosting it. This is Facebook’s quick and easy advertising system to get your content in front of more people. You don’t want to boost every piece of content. However, once in a while you can spend five, 10 or $20 on a post people seem to really like. When you boost a post it helps give more fuel to the fire. Understand, If it’s a bad or poor performing piece of content, chances are you’re going to be wasting your money. One thing which is important to understand is when it comes to Facebook video, retention is really low — like eight seconds low. So what you want to do is increase video retention. 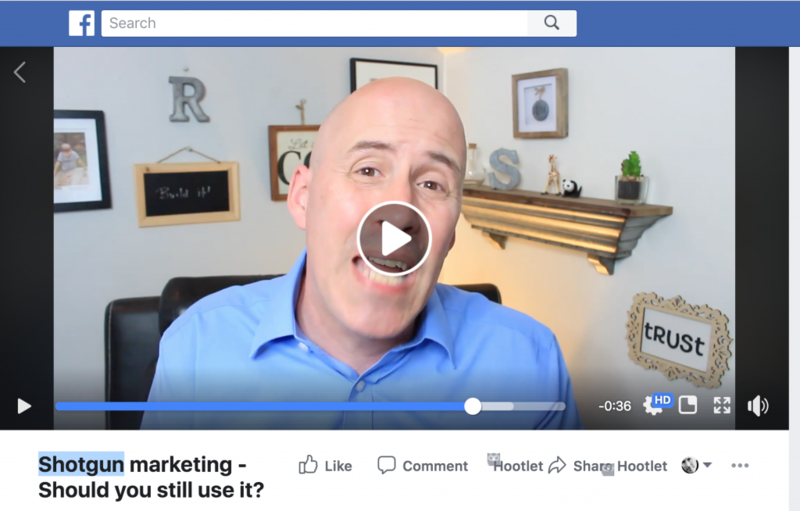 When you increase your retention you’ll increase your Facebook reach for that video. There are a few things you can do. As I often mention, upload to Facebook organically. When you put a link in a post from YouTube or Vimeo — Facebook will throttle it. In other words, Facebook will most likely not share it with as many people, compared to an organic upload. Another thing you can do is get people’s attention early in the video. Wave your hand, or signal can you hear me? Do something to get the viewer’s attention as they are scrolling through their feed. Even better, I highly recommend you place captions on your videos. This lets people know exactly what you’re talking about early in the video. That fact is most videos (about 85%) on Facebook are watched without the sound on, people really don’t know what you’re saying. You’re losing opportunity without an attention strategy to connect with your potential audience. So when you have captions, you can get their attention immediately and chances are they will watch your video a little bit longer. I’m often asked about bots when it comes to Facebook and does it increase reach? or engagement? My answer is, yes, if done right. However, you need to be creative when developing bots. In other words, bots can keep the conversation going, ask visitors questions, improve engagement and even help with customer service. However, just because they are the hot thing right now, it’s not a guaranteed success. Also, don’t try to make them too human. Let people know the bot is your assistant. If you are interested, one of the more popular bot services available for Facebook is ManyChat. Take a look around and start to experiment, see what’s working for you with bots and what might help to increase engagement and the relationship with your followers on your Facebook page. To recap, some of the key takeaways are the more you post – the better – to the point in which quality or engagement begins to drop off. Engagement is one of the foundations in the Facebook algorithm. 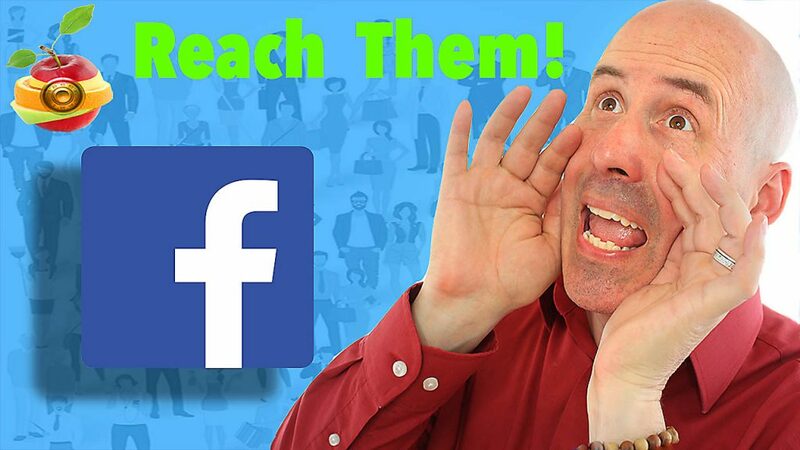 You need people to engage with your Facebook Page for success. You must do things which encourage people to interact with your posts. Remember to upload your photos and videos organically and lastly, don’t drive people away from Facebook. What do you do to improve engagement on you Facebook Page? One Response to "How To Increase Reach On Facebook"